Big or super-big, is considered efficient. This applies to companies, nation states, and even families. So – it’s not far-fetched to write on this blog that big-size is good. 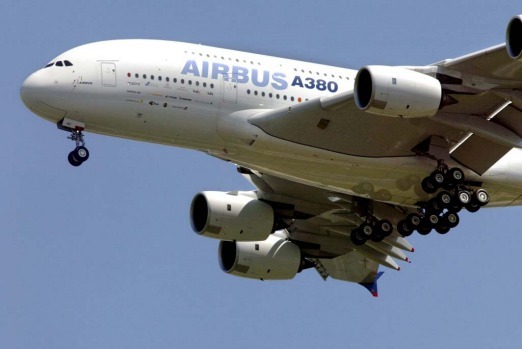 We refer to the ‘big-size’ phenomena as the A-380 Jumbo factor – after the largest long-haul aircraft, Airbus’s A380. The A380 has brought to the limelight, the enigma of big-size. After all, it may not always be efficient. Let us start with the family – in the absence of a viable social safety net, the economies of scale phenomena haven’t spared the African family. At least the family in Nakabugu village and by extension the Great-lakes region. Apparently, big families ensure social security for the parents, especially in old age. Having many children deepens the retirement-coffer for the family as many children contribute to making a bigger whole. This, as opposed to the nuclear family approach where only one or two children contribute to the family coffer. So, the bigger the family, the more efficient is the parents’ safety net model. President Museveni has until recently preached that big-size is good for the family. According to Museveni, a large population guarantees the market for goods and services and attracts investors. There are 27.7 million people in Uganda. But by 2025 the population will almost double to 56 million, close to that of Britain, which has a similar land mass. In 44 years its population will have grown by nearly as much as China’s. Midway through the 21st century, if current birth rates persist, Uganda will be the world’s 12th most populous country with 130 million people – more than Russia or Japan. On the micro-economic side, enterprises continue to explore avenues to reduce their operating cost and increase profit. One way of attaining the latter is to spread fixed costs to a broader base of units sold. And this is where Airbus’s A380 concept comes into play. With the global economic down, increasing costs for fuel and growing demands for a greener-economy, it was all logical for the aerospace giant Airbus to design a more fuel-efficient superjumbo that could take a higher passenger load. Airbus’s logic is not different from that of an efficient city public transport system – it’s more efficient moving city dwellers in a bus than having each of them drive a family car to the city. The A380 and Uganda’s family size debate all made perfect sense, at least on paper. Matters to do with big-size, be it for the firm or family aren’t always a linear black and white affair. There are nuances to consider. Too small and you are likely to miss out on the required efficiencies; too big and you end up with a void to fill; in between and you are doubly exposed to cutting it too fine. The above is your dilemma of big-size. “….but for Emirates, the biggest selling point of the A380 is its ability to pack in more business-class seats and create an environment that appeals to big-spending passengers. There are more first- and business-class seats on the Emirates A380 than on the 777, and they are usually 75 to 80% full, Clark says. On some routes, like those to Heathrow, where Emirates has five daily flights, that figure can reach 90%. Once the whole plane is 85% full, its operating costs fall below those of a 777, he says.” However, for such a giant project, success cant be built on only one airline, Emirates.